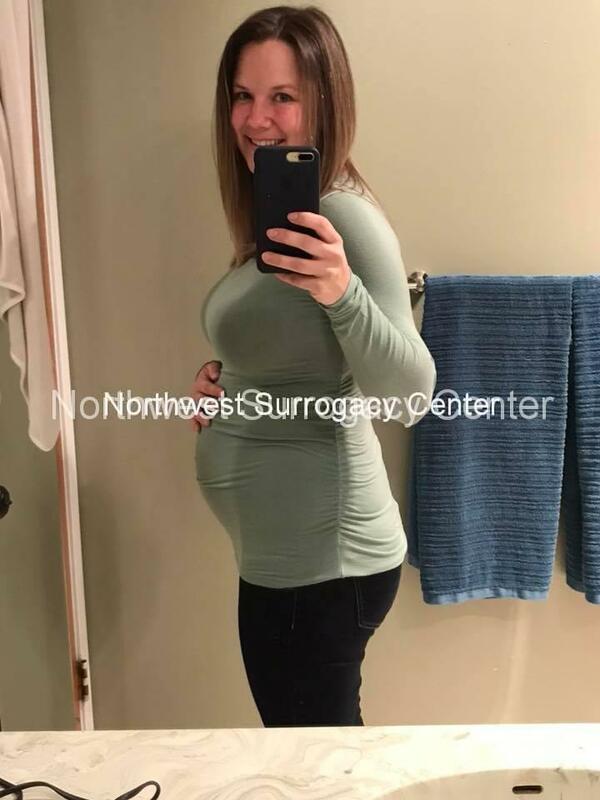 Surrogacy was something I had wanted to do for a long time, after having watched a friend struggle with their own fertility and knowing how great of a mother she would be. 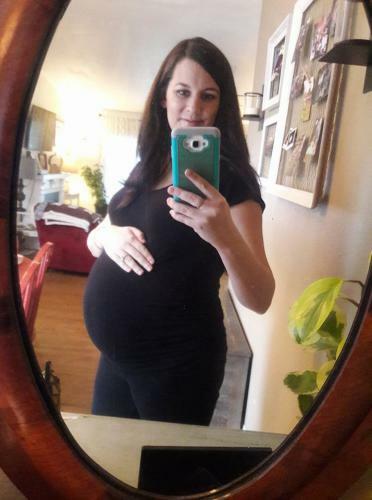 I know I couldn’t imagine my life without my own children, however, like many surrogates in the beginning, I didn’t know how or where to start the process. 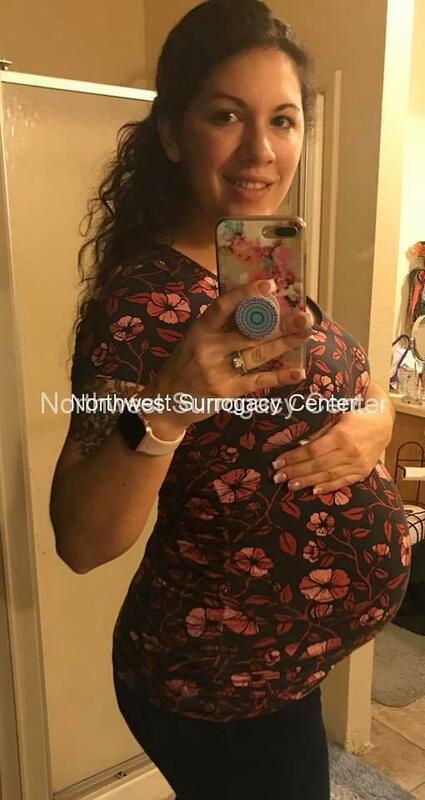 One night at a family dinner, my sister-in-law (also a NWSC surrogate) told us she was planning to journey into surrogacy and she connected me with NWSC. 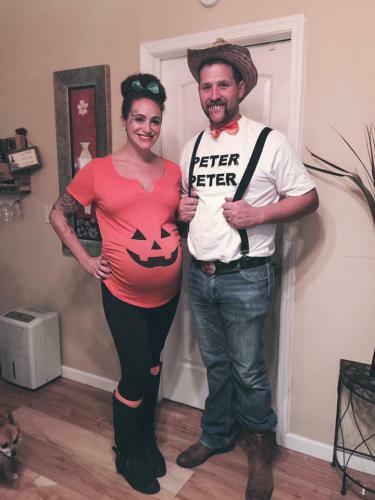 I was so excited and my husband was completely supportive and on board but I had no idea what to expect. 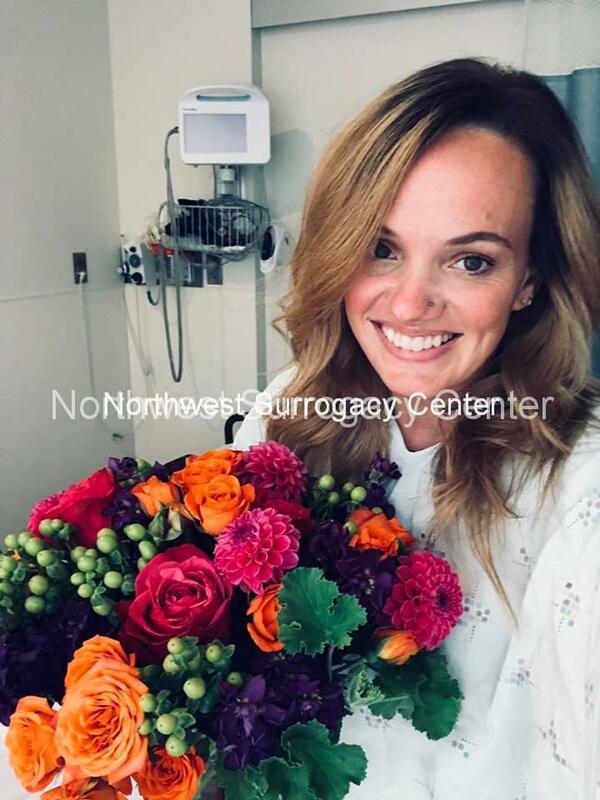 The next few months consisted of meetings, medical record reviews, appointments with fertility clinics and of course, our match meeting at NWSC. We were matched with the sweetest, most amazing couple. 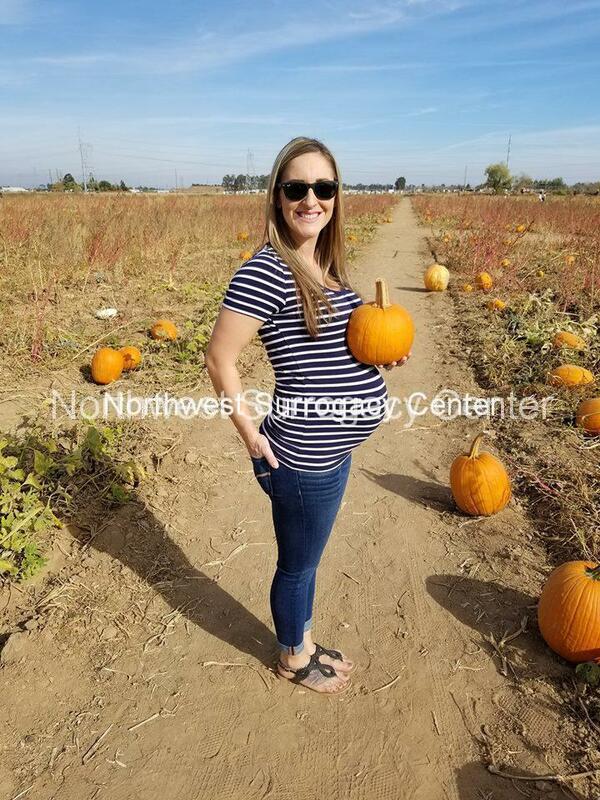 We bonded over text and e-mail in preparation for our embryo transfer in June 2016 when we met in person for the first time. 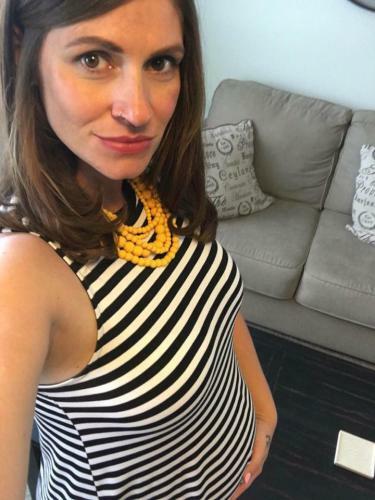 Since the beginning, my husband and I have been very open with our two boys (5, 3) about our plans for surrogacy and even brought them to our match meeting , and to meet with our IPs in person, as we felt if we wanted a lifetime connection, our children were just as big of a part of that. We knew this journey would be life-changing, but it has greatly bonded my family as well as added a new extended family. As we approach our third trimester with our IPs’ first little boy, we are filled with so much excitement and love. We are all so excited to meet baby C in February and the boys just love feeling him kick in my belly. This journey has changed our life in so many positive ways. Aside from the financial gain that we are experiencing, being able to save for a house and build our savings, we have been able to positively educate people on gestational surrogacy and teach our children the act of giving. Being able to help give something to someone they may have not had the chance to otherwise is a wonderful feeling. I am most looking forward to seeing our IPs hold and raise this child they have longed for. All of this wouldn’t be possible without the amazing help, care, and education that Northwest Surrogacy Center provides its surrogates and intended parents. They have made this journey so effortless. The support they provide surrogates along the journey is immeasurable and this journey wouldn’t have been what it is without them. They help guide you through each step to help you make the best decisions for you and your family’s journey through surrogacy. It is so difficult to describe such a rewarding and unique experience in so few words. And even with the the amount of text provided here, I do not believe they can truly capture the uniqueness that one feels and experiences during the journey of surrogacy. I am sure the same can be said for intended parents as well. My first interest in surrogacy came long before I had children of my own, during the time in which my sister was currently carrying twins for a family who could not conceive themselves. 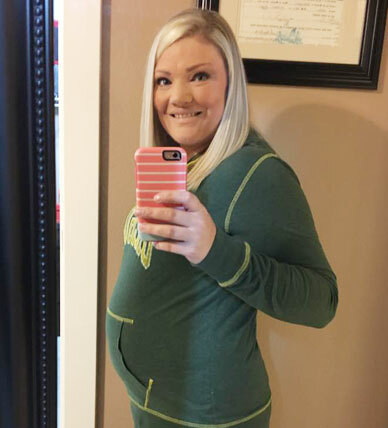 Listening to the stories of heartbreak, trial, love and a new family united, I found myself curious and in love with the idea of becoming a surrogate. After I birthed my second child, I felt that my family was complete and began my research into surrogacy to ensure it was still on the table. 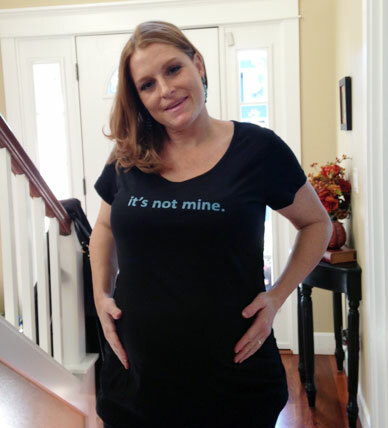 It was truly the love I hold for my children that confirmed surrogacy was for me. As many surrogates will say, I could not imagine my life without my children, and wanted to provide every opportunity for a family to be able to say the same thing. I researched many agencies, laws, policies, and procedures and had an instant connection with NWSC. There is not a single person at this agency that does not assist you with professionalism, kindness, and humanity. My wonderful case manager, Katy, called or emailed me every step of the way, sometimes just to check on me and see if I needed anything. Additionally, as a surrogate, there is a potential you’ll work with many agencies (lawyers, various doctors offices, fertility clinics, etc.) and I was very pleased with the ease with which NWSC was able to coordinate and organize information between all entities. But I believe I was most grateful for the opportunity to select the family as much as the family is able to select me. It is important in this journey to feel comfortable and happy, and NWSC ensured that I was just that when choosing my path. I was paired with the most beautiful intended parents from France who had been trying for almost ten years to conceive. I was immediately drawn to them and wanted more than anything for their long wait to be over. We emailed every weekend (and still do so) about everything; the baby of course, recipes, vacations, family, and we developed such a unique friendship. I began the medications, and between the parents, NWSC, and family, I had people checking on me often to ensure everything felt right. We had the first transfer in June of 2015 and I was confirmed pregnant. It was an amazing feeling knowing we were on our way. Unfortunately we lost the baby the following August. It was an event that was always a possibility, but it still caught me off guard. It was the only fear I had going into the process and it had happened. I could not believe the outpouring of support the IPs and I received from all the agencies. The IPs even extended ​their condolences to me, which is the least selfish thing I have ever experienced. They were eager for another transfer and we tried again in February of 2016. 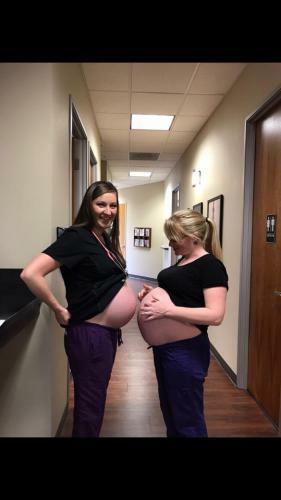 From the success of the second transfer to the birth, the little one grew perfectly and was wonderfully (and thankfully) easy to carry every step of the way. I gave birth to a little girl just 4 days before my birthday in October of 2016 (almost exactly 4 weeks early). 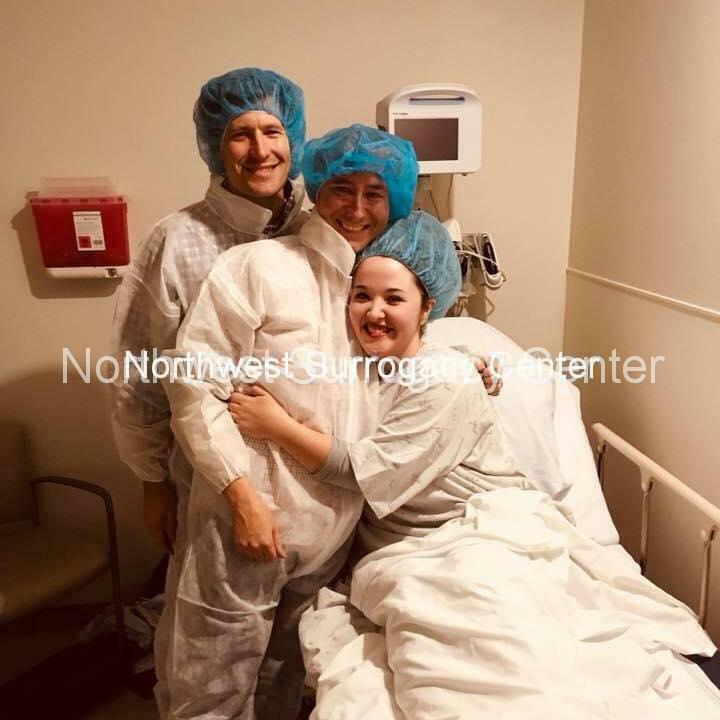 Unfortunately due to the rapidity of the birth from start of labor to arrival, the parents were unable to attend, a moment I’d wanted so badly to witness. We sent them many pictures and offered to care for the baby until they arrived, a task I was happy to do since I just LOVE babies anyways. It was close to midnight for the IPs, so they wished us a good day and signed off by saying excitedly, “Take care of our little girl!” My heart swelled for them. 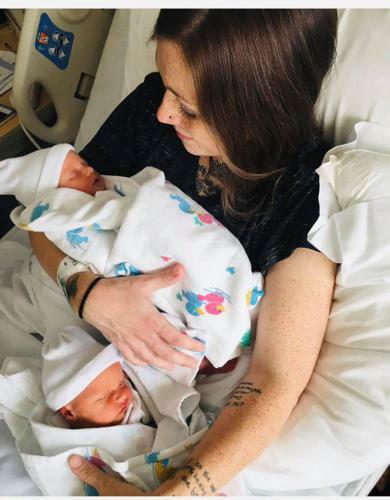 Due to her prematurity, the baby had some difficulties breathing on her own and had to be whisked away in middle of the night to a proper NICU almost 2 hours away. I believe hormones played a role, but this was the only moment in my surrogacy that I felt helpless. I had cared for this little being for almost 9 months and protected her, but now I couldn’t do anything to help her, and her IPs were not yet here to hold her. My husband and children (who were 5 and 3 at the time) had to go home and I was suddenly alone with the thought that I had failed. 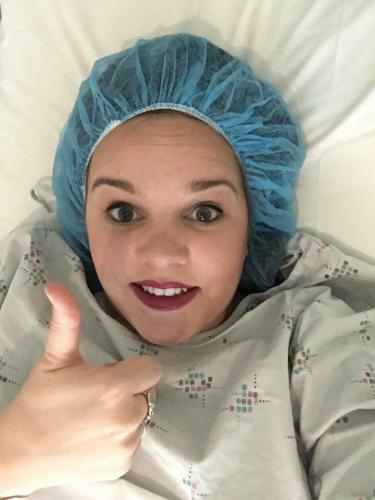 In hindsight, I know that this thought was misguided, but I was devastated…and very concerned for the baby, even though doctors and staff assured me many times that she would be just fine. It was a unique emotion, but the other hospital called me regularly to update her status (she was off of oxygen by the time she arrived and was doing perfectly!) and the IPs and I talked as much as possible until they arrived. As soon as I was well enough to leave the hospital, I immediately traveled to the NICU. Baby girl and her parents were all cozy in their own private room. I had missed the moment they were united as a family for the first time, the moment I’d dreamed about since day one, but it didn’t matter. You could almost feel the love and excitement in the room: the father looking over his baby girl in admiration; the mother, bottle-feeding her baby, whispering terms of endearment to someone she’d only been able to dream about until then. It was almost overwhelming. The baby was released from the hospital in less than a week, and she is now home with two loving parents and an extended group of family and friends that have waited years for her arrival. 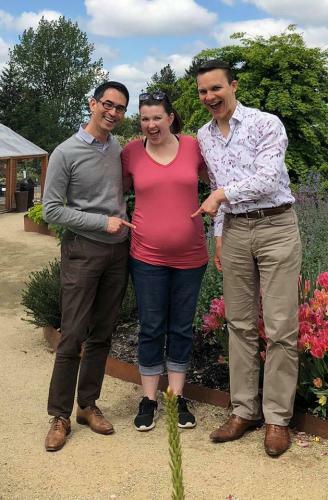 For me, surrogacy was a great experience I hope to repeat again one day when my husband and I both finish school (hopefully debt-free thanks to the compensation!). I never felt attached to the baby in the same way I felt attached to my own, but I did get very attached to the adventure. The only thing that surprised me (besides my water breaking 4 weeks early!) was the quantity of people who wished to ask me questions about surrogacy. I was always thrilled to discuss any questions anyone had, and respectfully listen to those that wanted to state their opinions. There were a few individuals who said I would regret it, but I am happy to state that I definitely do not, and knew I never would. I will forever be thankful for the opportunity to bring such a loved baby into this world. My husband, extended family, and friends knew this was something I had wanted to do and I had their support immediately. I will forever be thankful for that as well. We were all able to grow in this experience, and it taught us a greater appreciation for what we have and who we are. 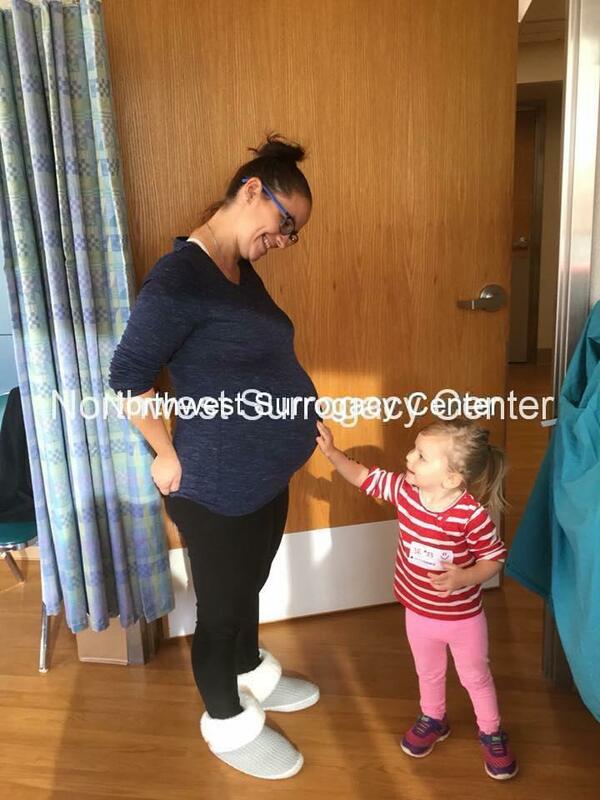 Surrogacy helped me appreciate the profound luck that many of us have with conceiving and birthing our children and helped me bring about a greater respect for those that cannot. I think most surrogates, myself included, tend to be bashful about what they are doing, but a message to all past, current, and potential surrogates: be so proud of yourself for what you have done or are doing. Children are an incredible and precious gift; without you, without agencies such as NWSC, these little gifts would not be possible. 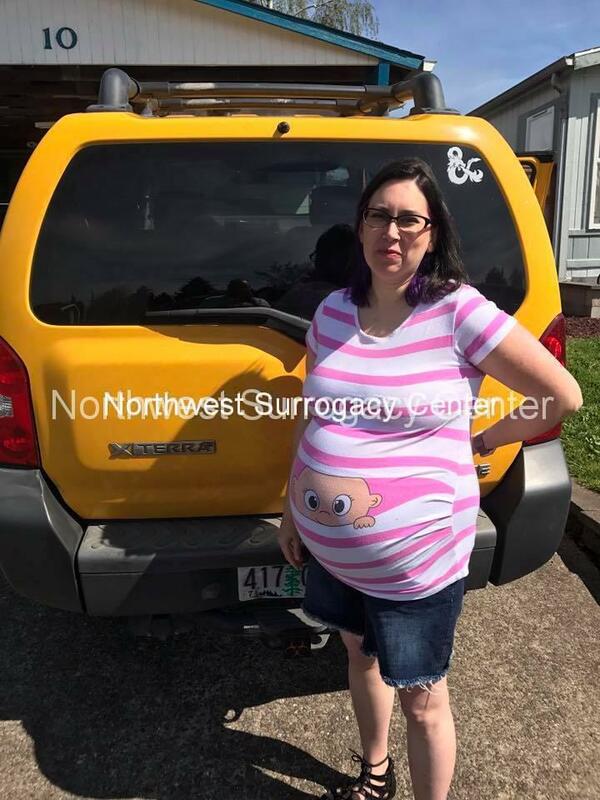 It takes great bravery for surrogates and intended parents alike to begin this incredible journey and NWSC is there (professionally and lovingly) every step of the way, and I wouldn’t want it any other way. Hello, my name is Alex, I’m happily married with two kids living in Eugene, Oregon, and I became a surrogate from sheer fate. 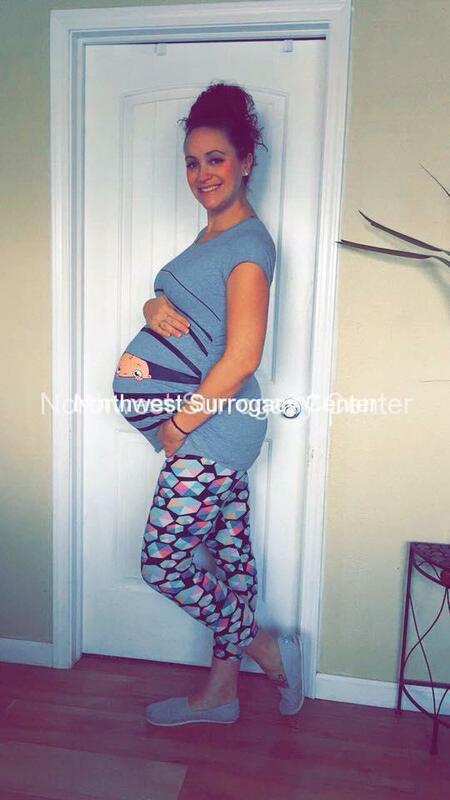 A dear friend of mine had asked if I would be her surrogate. I thought, surrogate?! That’s a thing? 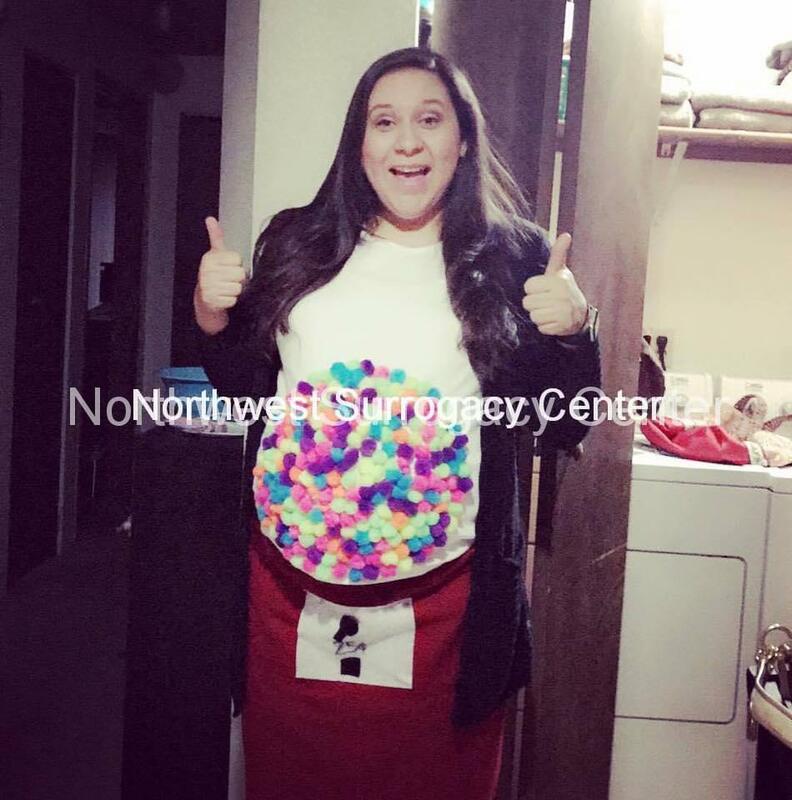 I’d heard about egg donation but didn’t know ANYTHING about being a gestational carrier. 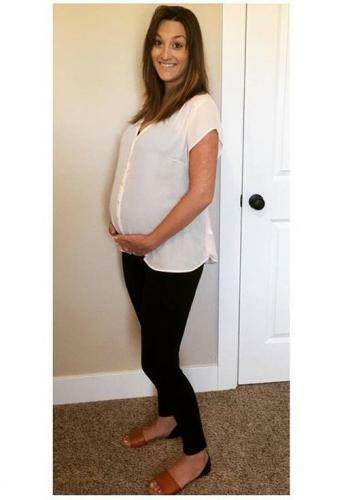 Surely my friend who was young and healthy without a doubt could get pregnant, she didn’t need me. 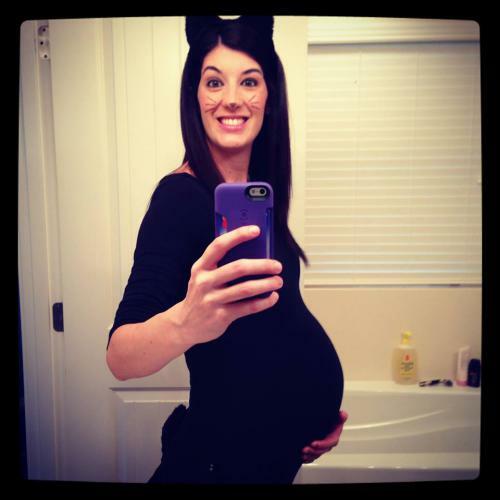 I was right: three months later she was pregnant. HOWEVER, I was left with the thought of having a baby for someone else. My husband and I were done having more babies, I enjoyed pregnancy and thought, if I could be pregnant and help create a family that I would look into it. My son was seven months old and my daughter just turned four years old when I began my research. 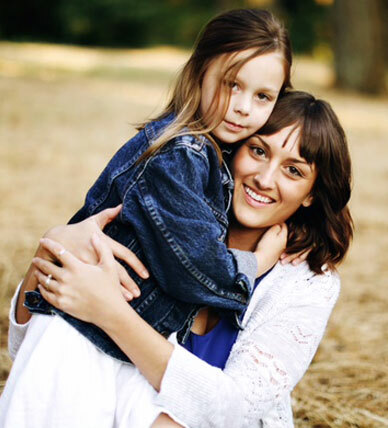 I was hesitant about my children and how this would affect them. After talking with my husband and my daughter’s father and stepmom we all came to an agreement. We would be open and honest with our kids. 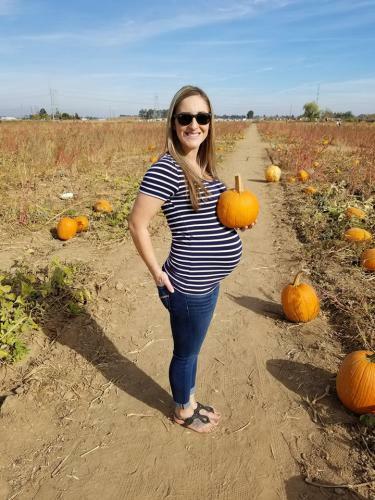 I asked my daughter how she felt about mommy carrying a baby for another couple and she simply said, “that’s so cool.” We waited another year since my son was done breastfeeding and we didn’t have future plans which may have interfered with the process. 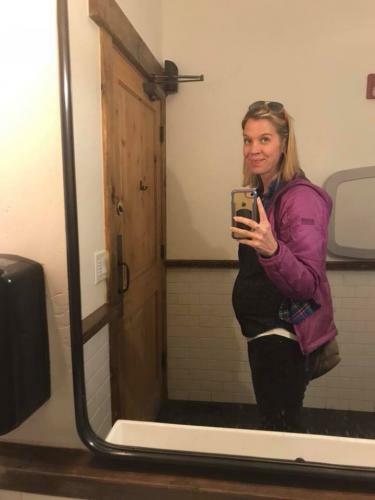 We knew there would be a lot of doctors visits, blood draws, and me not feeling that well, as pregnancy can be unexpected. I talked with a few agencies I found online but it wasn’t until Northwest Surrogacy Center answered that I felt a connection. The day I went in for my initial meeting I felt at home, comfortable, and excited! There were a lot of questions, there was more information, a support system, and a team of people who were experienced in working with women and their families. 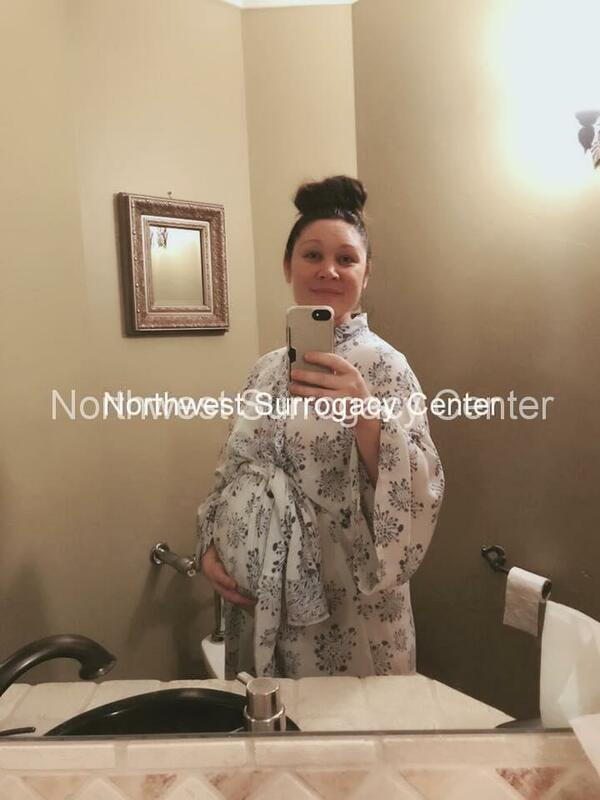 We signed with Northwest Surrogacy Center and began the screening process and within four months received our first intended parent bio. Tears immediately fell from my face and I knew in that moment these were my intended parents. 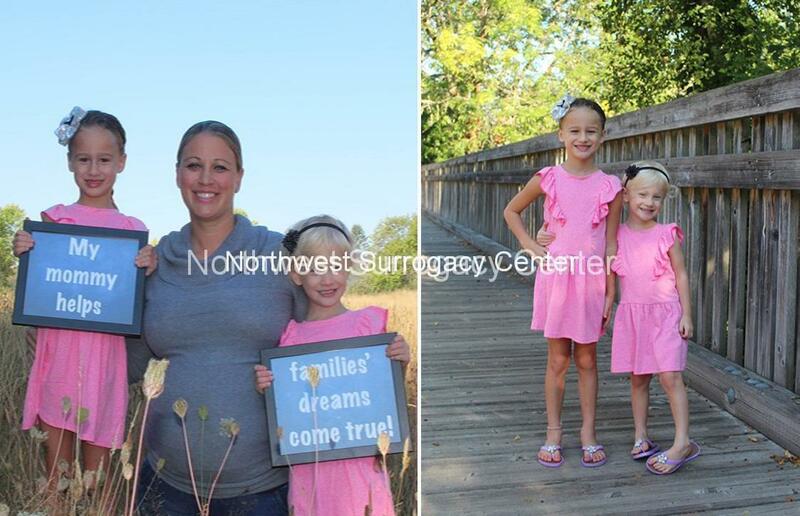 Northwest Surrogacy Center made the perfect match. When we had our match meeting I was beyond nervous as I knew they didn’t speak much English. But it was flawless, we had the same interests, ideas, and hopes for this journey we were about to embark on. During injections, blood draws, and hoping my body was cooperating I felt excited and took every result day by day. Injecting myself with needles was a little tricky but once I stuck myself for the first time it was a breeze! I communicated often with my intended parents and met them in person and they came for the 20 week ultrasound. 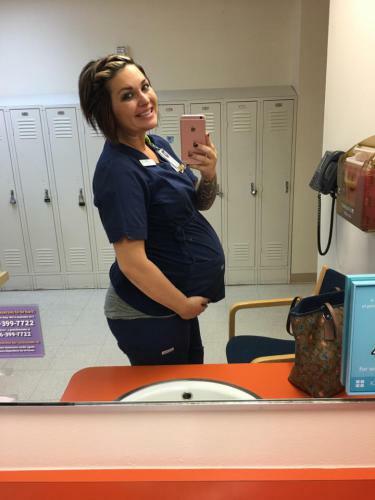 They were involved with my kids, and my daughter knew they were the parents of the baby I was pregnant with and that this baby had no ties to mommy. My son just thought I ate all of his toys. As the due date was rapidly approaching I was so excited to see my intended parents hold their daughter for the first time. As I had been watching them prepare for parenthood and decorate her nursery, I couldn’t wait to see them feed her, change her, love her. As a mother and parent I know that feeling and for them the moment she was born I knew they felt the same exact way. Each poop or feeding they squealed with excitement. 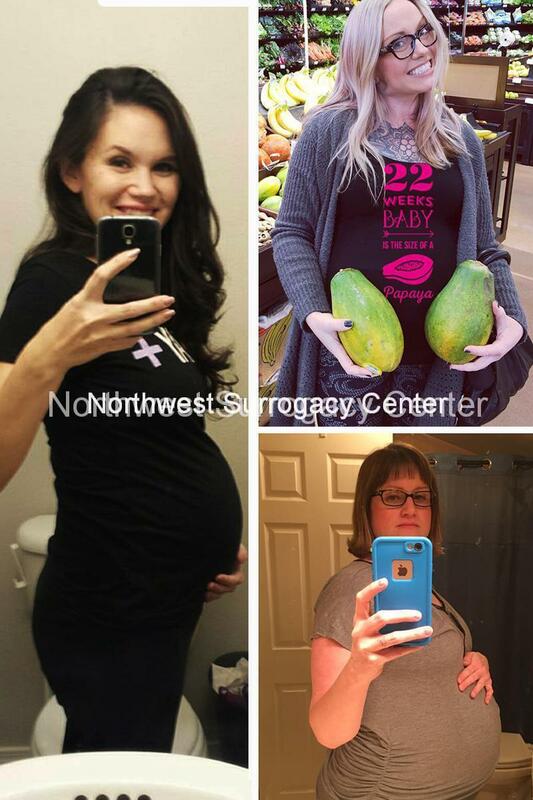 Northwest Surrogacy Center without a doubt was and is an amazing agency. The people who work for you are truly there and the support is tremendous. I could not have done this without them. My experience was so positive and truly a life-changing one for myself. I am on my second surrogacy, I can’t tell you enough about how rewarding it is! 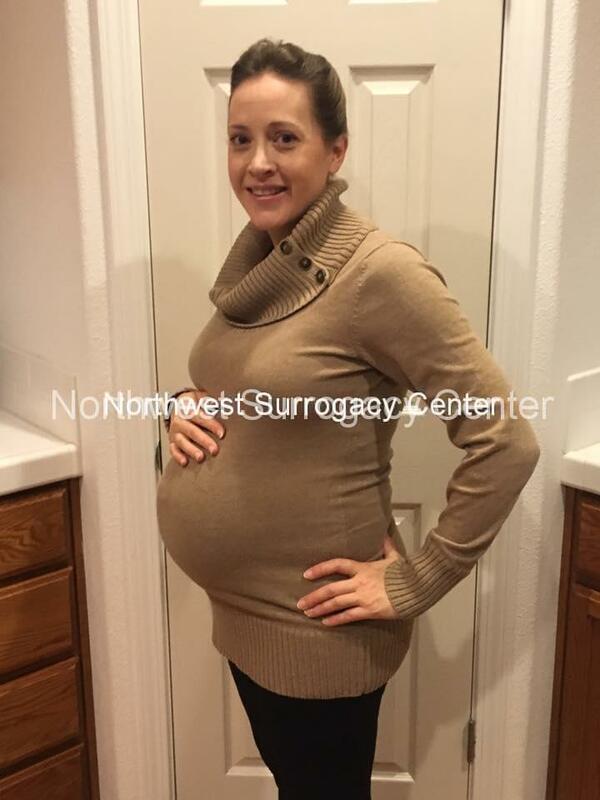 On my first surrogacy journey, we were matched with a nice couple who wanted a child. The first transfer did not take, which was emotionally hard on all of us. Thankfully, we were blessed and the second was successful. The journey was so much more rewarding than I could ever have imagined! 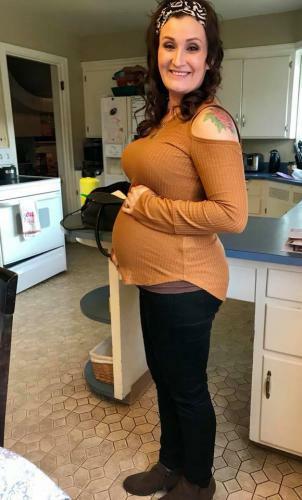 From little things, like hearing the parents cry with joy when they found out I was pregnant, to the breathtaking ultrasound with the grandparents in the room. I will never forget the grandpa crying when he learned his family name would carry on and that the baby was a boy! There was not one dry eye in the room. 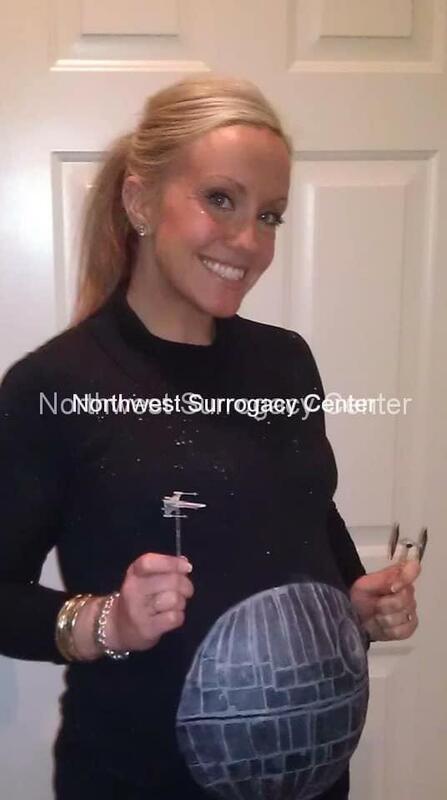 Now I am on my second and final journey as surrogate. I felt so much happiness providing a baby to a wonderful family that I decided to do it again. The new family I’m working with feels like I have been best friends with them for 20 years. They are so kind and grateful for the chance to have a baby. It is going to be a great experience that will end in a friendship for a lifetime. Of course, there are challenges in the process, like the shots and medications, and the strong feeling of not wanting to disappoint anyone, and even wondering if it would be difficult to say goodbye to the baby. But as the journey progressed, I was so eager for the family to meet their little one. The shots were hard; but like childbirth, you quickly forget the pain. By far the hardest problem I had was the aftermath of birthing. I did not have a baby to carry around to let people know why I was chubby! It looked like I hit the donut shop every day for a year. But my body did bounce back over time. Many people asked me how my children (twins were 11 and youngest 8) handled the surrogacy. I told my children that it’s just like when we buy supplies or Christmas gifts for needy children – we are helping a family have a baby they can’t have on their own. I told my boys, “If I could never make these amazing memories with you, I would be heartbroken. We are allowing someone else to create happy memories and complete a hole in their hearts.” I have always believed in teaching my kids compassion for others and we are here on this earth to help one another, not to be self-consumed. What better way of showing this but by example of helping a family have a child! The first time I did it to make a difference in the world. 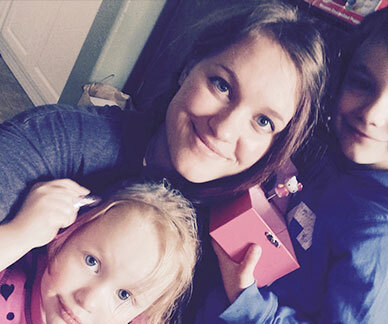 I wanted to show my children how to help others and that giving is a great thing. This time I am excited to give the gift of a child but I’m doing it for my family. We spent the first money on home improvements and a trip, but this time I am doing it for financial peace. We plan on paying off both our cars and student loans. This will free up $900 in our monthly bills! We will save that extra money and plan to travel more with our kids. It is allowing us to do more without hurting us financially, and paying off our debt will save us over $10,000 a year! So yes, my motives have slightly shifted for the second surrogacy but in the end a wonderful family will get the baby they so eagerly await! I wish you the very best and I know that if you decide to do it, you will not be disappointed. You are giving the ultimate gift. There are so many great people out there that want a child but can’t do it without help. You were blessed with a body that can not only give you a family but could help build another! A glimpse at NWSC surrogates! Photos shared with permission. 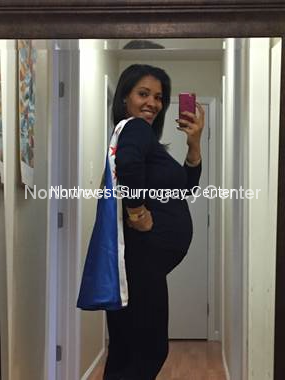 Five NWSC surrogates share highlights of their surrogate experiences.